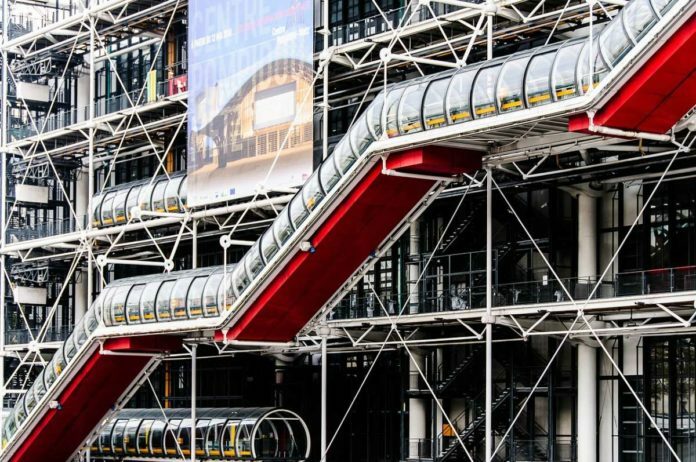 If you are a first time visitor to Paris, do not leave the French capital without visiting some of these must-sees. 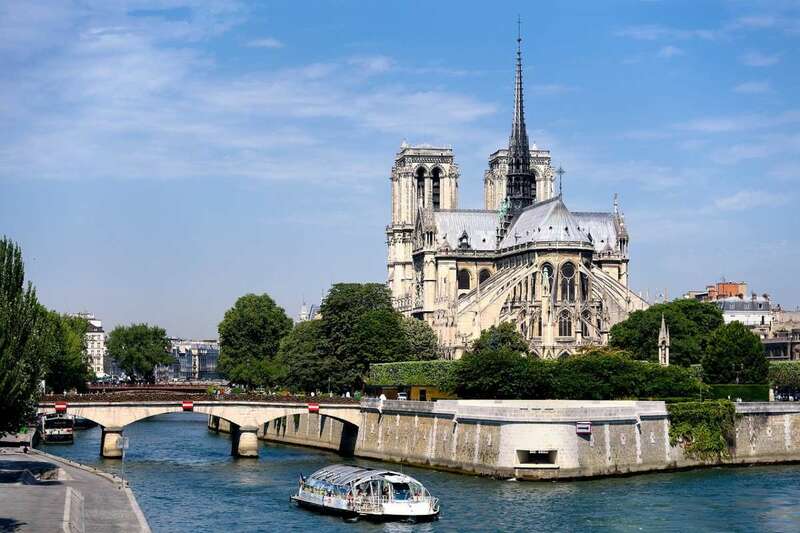 Paris, the European capital for love and romance is ideal for a weekend get-away – and not just at spring time as is so often said. Winter heralds many cultural events and summer is lazy, balmy and almost sizzling. 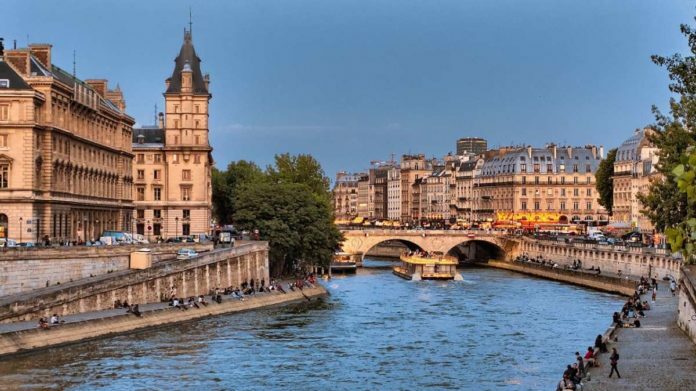 Any time of year, gay Paris can instill its joie de vivre and leave with a little oh la la simply because it has so many faces; the glamourous, the touristy, the historic, the fashionista or Bohemian. Just take a stroll along the fashionable Champs Elysee towards the Arc de Triomphe, enjoy the café culture and be entertained by street magicians and singers. Or amble around Butte Montmartre – the Martyrs’ Mound – to peruse the swinging art market and mingle with artists as you pick your way through precipitous stairways and narrow lanes. 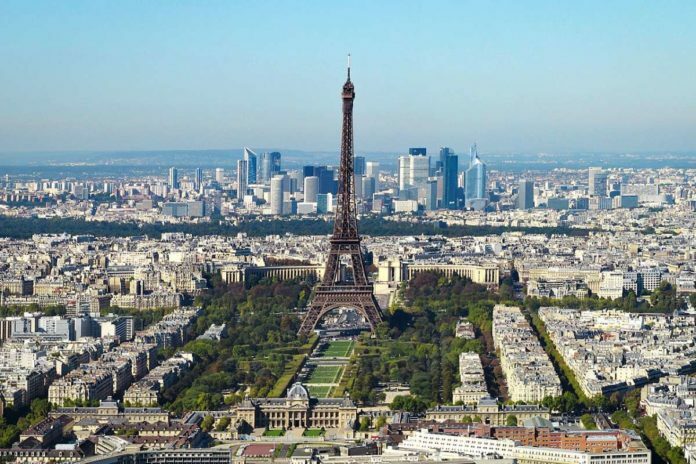 This world famous tower was built for the International Exhibition of Paris of 1889 to commemorate the centenary of the French Revolution. It was opened by the Prince of Wales (later King Edward VII of England). The design, the brainchild of Gustave Eiffel, was chosen out of 700 proposals. The tower is 300 metres high and was the world’s tallest erection until 1930. Note how the tower resembles a female leg with a garter. Can’t see it? Just imagine it turned upside down. The tower has three platforms. If there are queues for the lift, try climbing the 360 steps to the first level and pick up the lift there. Another 700 steps will take you to the second level. A gastronomic restaurant (extremely expensive; reservations absolutely necessary), the Jules Verne is on the second platform. 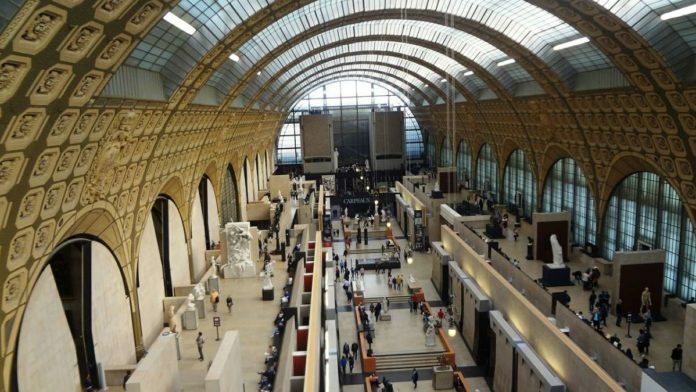 The top platform has a bar, souvenir shop, and the office of Gustave Eiffel. Visitors are unanimous about the splendour of the views over Paris especially one hour before sunset. This magnificent art gallery, a former royal palace, is home to Leonardo da Vinci’s famous Mona Lisa. The Louvre has an unparalleled collection of 35,000 of items over four floors of a very large palace, covering the full spectrum of art through the ages. Each floor is divided into three zones that relate to areas or wings of the palace: Sully, Denon and Richelieu. On the lower ground floor is the Islamic, Egyptian and part of the Greek collection including classic statues from French collections. The ground floor contains Near Eastern, Oriental, Greek, Etruscan and Roman antiquities. The first floor houses Napoleon III’s apartments, Egyptian artefacts and a collection of Italian and French Renaissance paintings. On the second floor is the Dutch and Flemish masters along with French paintings from the Baroque era. There are several entrances. 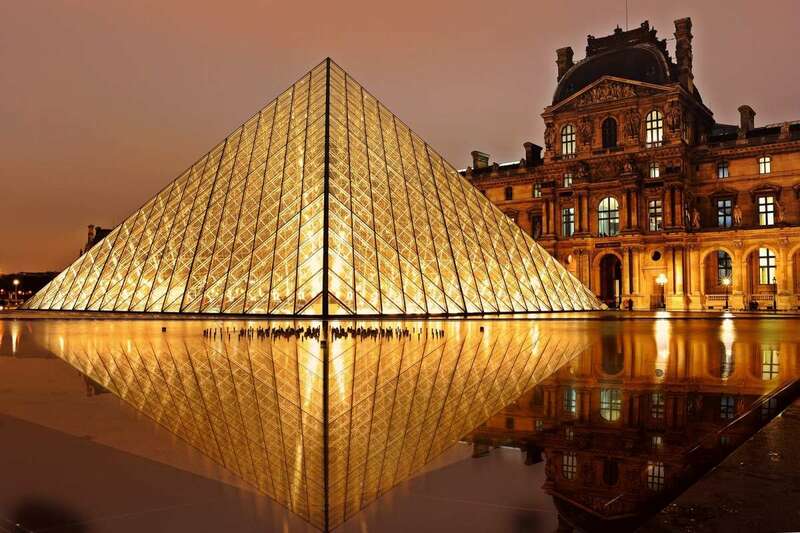 The entrance to the gallery lies below a glass pyramid however the entrance for the Mona Lisa is at Porte des Lions on the south side of the museum west of the Pont du Carrousel. From there go to the Salles des Etats (room 6) to see her. Address: Direction des Publics, 75058 Paris cedex 01 Tel: 00 33 (0)1 40 20 53 17 – Entrance to car park is located on avenue du Général Lemonnier. Open: 9am to 6pm except Tuesday and 1st January, 1st May, and 25th December. Night openings until 9.30 Wednesdays and Fridays. Entry: Free on the first Sunday of every month and 14th July. Tickets to permanent collection 12 euros or 13 euros for the Hall Napoléon. Combined tickets 16 euros. Under 18s go free. Metro: Palais-Royal-Musée du Louvre station. This museum, a converted railway station, is situated on the left bank of the River Seine and is home to mainly Westen art dating from 1848-1914. This comprises many Impressionists and post-Impressionists including Van Gogh’s Bedroom at Arles and Eduard Manet’s Le Dejeuner sur L’Herbe and Olympia. There are also large collections of works by Claude Monet, Auguste Renoir, Gauguin, Henri-Toulouse-Lautrec and Paul Cezanne. Entry: Excluding special exhibition: Adults 9 euros or 6,50 euros from 4.30pm (except Thursday). All exhibitions: 12 euros. This Gothic masterpiece, located on an island surrounded by the Seinne river, dates back to the 13th century and took 170 years to complete. Pope Alexander III laid the foundation stone in 1163. It is full of stunning stained glass, a huge interior of stunning artistic expression and mystical dimension. Look for the three great rose windows in the north and south walls and in the west wall over the entrance. In the square in front of Notre Dame is the entrance to the Crypte Archeologique where below ground level, are Roman remains, remnants of medieval streets and a scale model of the city. Address: 6 Parvis Notre-Dame – Place Jean-Paul II , 75004 Paris Tel: 00 33 (0)1 42 34 56 10. Open: Daily 8am to 6.45pm. Until 7.15pm on weekends. 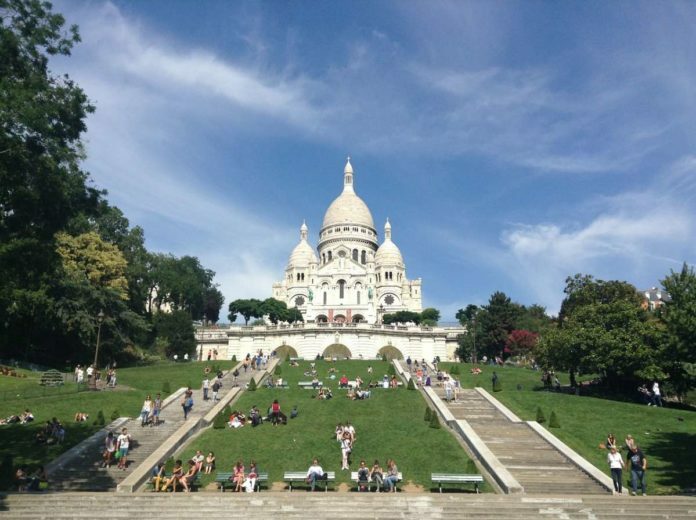 A stunning landmark in Montmatre, this 19th century basilica was built by the French Government after the Franco-Prussian War. The name means “mount of martyrs” in rememberance of the martydom of Saint Denis, the first bishop of Paris (late 3rd century) and his colleagues. When war broke out in 1870, the Pope became a prisoner in the Vatican City. France was facing defeat and German occupation. MM Alexandre Legentil and Hubert Rohalut de Fleury saw this as a symptom of spiritual neglect and vowed to build a church consecrated to the Heart of Christ in penitence for sins committed. In 1919 the church was delcared a basilica and is an independent sanctuary. It features a huge medieval dome, the second highest point in the city after the Eiffel Tower, from where you can see fantastic views. You can also descend to the crypt for an audio-visual display of the history of the church. This world famous arch has served as a symbol of victory ever since Napoleonic times, heralding the triumphant home coming of French troops. 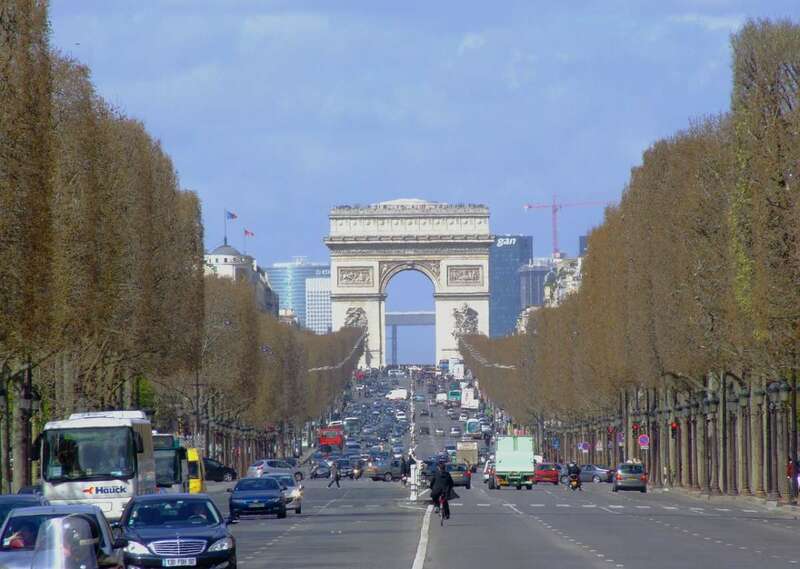 Its imposing form (164ft high, 148ft long and 72ft wide) stands at the end of the Avenue des Champs-Elysées and in the centre of the Place de L’Etoile. Twelve streets radiate from it and if you climb its top will get an eyeful of Paris including the Louvre and the length of the Champs-Elysées. You will also see the Tomb of the Unknown Soldier and a museum. Entry: 8 euros. Under 18s go free. 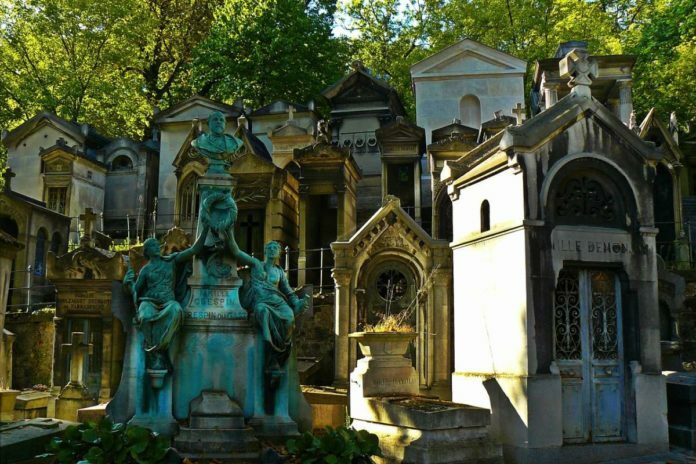 Probably the most visited cemetery in the world where France’s most famous and well healed are buried. Famous names include Jim Morrison, Proust, Chopin, Oscar Wilde, Maria Callas, Edith Piaff and Camille Pissarro. This innovative architectural structure acts as the gateway to Paris’s oldest quarter – the right bank – in the Beaubourg Area. It has been called a masterpiece and a monstrosity with equal gusto. Nevertheless this exhibition and performing centre is unanimously successful and is one of the city’s favourite tourist hot spots. Open: Daily 11am-10pm except Tuesday and May 1. Entry: Museum & exhibitions ticket 11-13 euros, 9-10 euros concessions, shows, concent 14 euros concessions 10 euros, cinema 6 euros concessions 4 euros. Walking into the right bank is like stepping into the past. Narrow but quaintly dark lanes with rickety town houses are straight out of a medieval story. This is a network of subterranean tunnels that were once the refuge of bandits and smugglers. 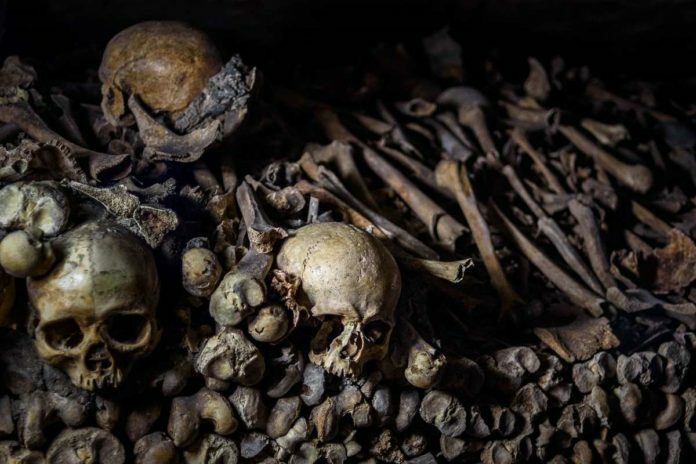 Now these stone quarries are the burial place of millions of Parisian skeletons that are over 200 years old. Not a tour for the faint-hearted.